Two-and-a-half years ago I launched a personal blog about my expat experiences in the Netherlands. The most difficult part was finding a name. I was hoping for a name that would encapsulate the many rich experiences I was having on my transition experience in a new culture and climate. But when it comes down to it, simplicity can sometimes really be the right choice, thus I went with Kristin in Holland. Afterall, my name is Kristin and I’m living in Holland. Today, I am happy to unveil the title of my debut novel: Green. Yep, that’s it–Green. 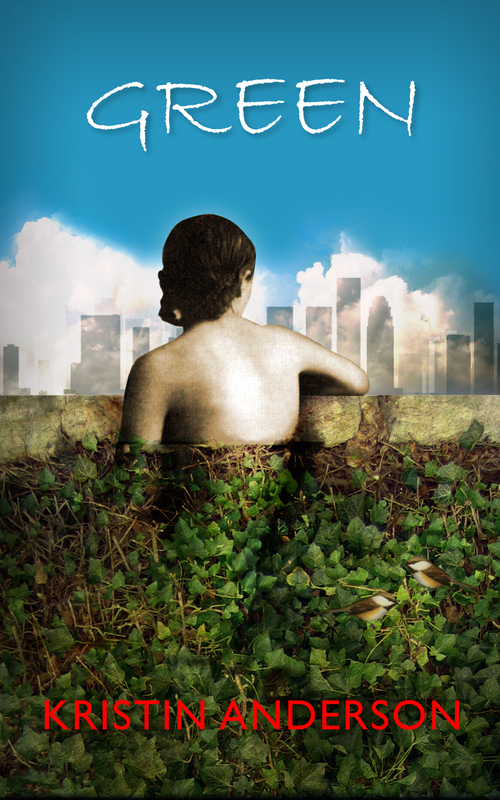 Green, a debut novel by Kristin Anderson, coming to you through an online portal of your choice this November 16th, 2013. Just when she’s about to throw in the towel on dating, she meets Jake Tillerman, an environmental activist. Although the attraction between them is sizzling, their lifestyles could not be more opposite. As Ellie embarks into his eco-friendly world, she begins to question the very things she holds dear. When presented with a seemingly irresolvable conflict in their beliefs, both Jake and Ellie must decide if it will tear them apart or transform their budding romance into a lifelong love. I love the title “Green” for its double-meaning–a beginner or a newby and also the more familiar environmental meaning. Thanks Kate! You’re spot on. There’s also the green with envy love theme, but that doesn’t play a role in my novel.